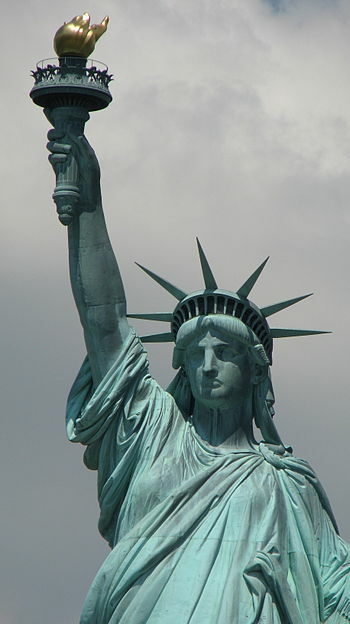 On October 27, 1886, the Statue of Liberty was dedicated. On it’s base is a bronze plaque with this poem, of which only a few lines are now remembered…except in the hearts of all the immigrants who came through Ellis Island…or their children and grandchildren. Not like the brazen giant of Greek fame, With conquering limbs astride from land to land; Here at our sea-washed, sunset gates shall stand A mighty woman with a torch, whose flame Is the imprisoned lightning, and her name, Mother of Exiles. In honor of this anniversary, I post this essay I wrote on immigration based on my family’s experience, an updated version of an earlier post based on the current immigration crisis. In our national life, there has been an ongoing concern about our country‘s position on immigration. Troubling questions are unresolved: As families flee war-torn Syria should they be classed as refugees, or immigrants? Are there terrorists concealing themselves among them? How can they be identified? This is part of bigger illegal immigration questions: Should the government create a pathway to citizenship for illegal immigrants and what about their American children? Is it fair that employers who exploit illegal labor face no penalties while the immigrants do? If there were no jobs, would they come? What about profiling and laws that empower it? Could the outcome of the 2016 Presidential Election lead to mass deportations? And also: How well do we welcome legal immigrants? What kind of discrimination do immigrants face? Given the recent terrorist attacks, will America’s golden door remain open? My family are “old immigrants,” all my grandparents having come in the second great wave of immigration at the turn of the 20th Century. Lady Liberty may have opened her arms, but many Americans did not. Given my family‘s experience, I believe America has always had a checkered history regarding its feelings about immigrants. Politicians exploited those feelings then and they exploit them now. I share my family’s story in the hope that new immigrants and refugees will find it full of struggle, but filled with possibilities. I pray Americans reading this can be moved to make Emma Lazarus’ words remain beacons of hope for the world. My mother was the first in her family born in the United States. Both of her parents came from Poland in their teens. Actually, there is some irony and inaccuracy in that statement. Germany, Russia and Austria had divided up Poland in 1795 and wiped it off all maps. Those who immigrated in that period had passports listing one of these three as their country, but they were said to be ‘ethnically Polish.‘ Poland was then only an idea, an identity. It lived solely in the hearts of its people. My mother’s father, Josef Kociencki, was seventeen when he entered Germany by train, smuggled out of his “country” in a coffin, with forged papers saying he was twenty-one. He was from a family of “szlachta” or nobles who had been expelled from their land by the Russians and resettled in a communal area. But the Kociencki family felt an ongoing responsibility to the people in their historic holdings and to the country of their forebears. As soon as he was old enough, like his brothers before him, my grandfather became a member of the Polish resistance movement and ultimately a partisan fighting skirmishes with the Russians in the forests near his home. One by one, they were targeted and forced to flee. One family story tells of Josef’s final moments in Poland, pelted by heavy rain, running through muddy wooded fields, the downpour confusing his scent and keeping the dogs of his pursuers at bay. As they closed in on him, he climbed into a grave that had only been partially filled with earth when the storm hit and the gravediggers left for shelter. Various family members told the next part differently: either he hid in or under the coffin, or only burrowed into the sodden dirt desperate to breathe. However he did it, my grandfather migrated in 1907. Thirty years later, the Russians conducted a massacre of Polish officers and intelligentsia leaders who resisted them in the Katyn Forest slightly to the east of my grandfather’s home. The final battle of Poland against the Nazi invaders took place in the forest near Kock, Poland, where Josef’s own father had been born. 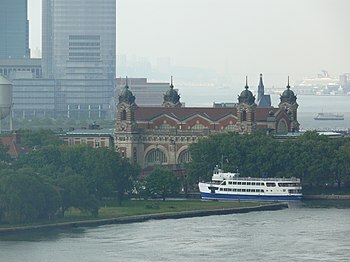 Smuggled into Hamburg, Josef sailed to New York aboard the Abraham Lincoln, his passage paid by his older brother, Jan. He was greeted by the embrace of The Mother of Exiles, Lady Liberty, but found that it was not replicated by the citizens here. When he arrived, he learned that America had little more use for Poles than the Russians had. Signs in windows proclaimed, “No DP need apply.” DP literally meant Displaced Person but, at that time, had come to be interpreted as ‘Dumb Pollack‘. What did it matter that he spoke seven languages: Russian, German, Ukrainian, Lithuanian, French, English and Yiddish? Josef was just one more DP. 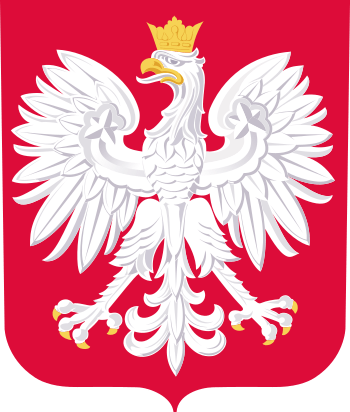 Like many immigrants before them, many Poles “chose” to change their names, substituting English sounding or shortened versions of them, in order to “pass as an American” and get a job. Of course, this was only possible to those without an accent, or for those who did not have “the map of Poland stamped upon their face,” my mother’s description of typically Polish faces. I was taught in school that America was a melting pot for the wave of immigrants who came at the turn of the century: Germans, Irish, Poles, Italians. That idea was romanticized as being a warm embrace to immigrants. In reality, it was more of a blast furnace designed to melt away the dross of ethnicity. Many immigrants felt they had no choice but to melt. Some members of my father’s family went from being Pelowskis to being Powells. Josef was someone who resisted. Just as he and his family held onto their Polish identity during the years of occupation by Russia, my mother’s father remained a Kociencki. Showing the resourcefulness he had as a young rebel, Josef got a job with a Jewish clothier. He was poor but ultimately learned to be a tailor of fine men’s suits. He married and had children. The first two died as toddlers. My mother was the first to survive. Two brothers would follow. When World War I ended, Poland was once again a country. It regained its place on maps but things remained very much the same for the second generation Polish Americans, my parents, as for the first. My mother lost the battle my grandfather had won. When she entered kindergarten, her name was Melanya. (Mah lahn yah) The nuns insisted she needed a “real” American name and called her Mildred, a name she hated but carried her whole life. Millie also had doors closed in her face due to her last name but managed to do amazing things: she saved for and attended two years of college, ran for public office as a council woman, worked in a bakery, sang in a nightclub, clerked in court, acted in Polish plays, sang with the Chopin Singing Society, and taught Polish folk dance. She married Edward Pelowski, who came from a merchant family, and whose mother was born in the same little town as Josef had been. When Edward’s father immigrated, he also struggled to get a job, but ended up working for the railroad, traveling up and down New York State. My father’s American dream was found living above a family bakery owed and run by his grandmother, mother and aunts, at 749 Fillmore Street, a Polish section of Buffalo. As young men, my father and his next oldest brother, Louis, won scholarships to the university there. Edward finished two degrees, one in Engineering, one in Chemistry. His brother completed Law School, ultimately serving as an attorney in Albany for Governor Nelson Rockefeller. World War II was a respite from discrimination: so many workers were needed ethnicity mattered less, willingness to work hard and education mattered more. Both my parents ended up in civil service with the Air Force moving from World War II to Cold War in service to America. Ultimately Millie was a Branch Manager. 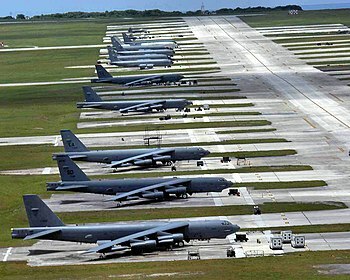 She had Crypto Clearance (higher than Top Secret, entailing Cryptography or Encrypted Material Rights) and held the launch codes for the SAC pilots in Rome, NY who would bomb Russia in the event of a nuclear war. 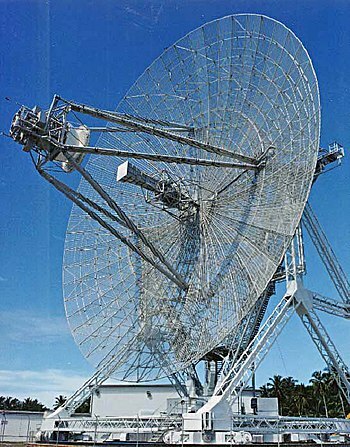 My father was one of the design engineers for the D.E.W Line, the Distance Early Warning radar installations across Europe, Alaska, and the Orient, that would warn of a nuclear missile launch by the Russians. Through focused effort, these second generation Americans protected the new country they loved from the old country that had oppressed their parents. And so to me, the third generation Polish American, the most ’melted’ generation. My father decided, as Americans, neither my sister nor I needed to learn Polish. I learned nothing of the roots of my heritage from him. My mother, who read novels and poetry in Polish, who sang and danced her heritage in folk dances as a young girl, did share stories, the great stories about her father and other more famous Poles. She taught us the Polka and to love the works of Chopin. She told us Chopin always carried a cloth bag filled with Polish soil so that he would never forget where he came from. Ironically, she taught us nothing about where we came from. I knew from the stories that Josef was from a part of Poland near Russia and that my father’s mother came from the same town. I had no specifics. Unfortunately, my parents had learned that to succeed you minimized your ethnicity. They had learned that to melt held rewards. In my childhood and teen years, given my Polish maiden name, I was subjected to every moron joke that had been invented, recycled as a Polish joke. Some were told just because they were funny, some more pointedly to convey my inferior status as the child of immigrants. I could tell the difference. But I was always supposed to laugh. Americans have a sense of humor. While I was never expressly told, I knew that there was something “less than” about being from an immigrant family. I saw it in looks down noses when my name was said, usually mispronounced, that conveyed a good American would accept the incorrect pronunciation as the American form of the name. I felt it in the disapproving glances if anyone dared to insist on the correct pronunciation. I caught it in the wrinkled noses of friends visiting if my family cooked ethnic food. I learned there was a cost to claiming my heritage. Like most children, I just wanted to be liked. So, I wanted to melt. I wanted to be seen as just an American. I think that one problem for Mexican immigrants, legal or illegal, is that they do not. They may want to ‘pass’ as legal or as Americans to get jobs, but they want to keep their language and their names. They want to send their resources back to their homeland and possibly return there. It is not just that they don’t play by the rules on obtaining papers to come here, they don’t play by the unspoken, unwritten, immigration “rules” that have not changed since the turn of the century when my family came: assimilate, give up your ethnic identity, even though we will make that almost impossible to accomplish. I embraced my melting. I married a man from an English/Scots-English heritage who can trace his family to John Adams, whose grandmother was a member of the DAR. He came to love my family and the rich textures of my ethnicity. I took refuge in his name. Unless I told them, no one would ever know where my family came from simply by hearing my name. Sharing that became my choice. Yet somewhere in my genes my grandfather lived. I almost always did. Now, the fourth generation has grown up and the fifth arrived. Now, I know where the melting pot leads. I got my wish. My children do not think of themselves as half-Polish; my grandchildren barely had an idea they have an ethnicity. They are only Americans. They have lost some of the richness of who they are. So, I decided I had to reverse the trend. The echo of my mother’s story of Chopin’s earth was buried deep within me. I set on the path of recapturing my heritage, finding out from where we had come. I began to search Polish history and the history of my family. In this essay, I have given you information I discovered from my research. I have written an historical fiction/fantasy novel set in medieval Poland with elements of Polish folklore. It is filled with family names, and the characters have the looks and traits of my grandchildren to help them see themselves in the setting of their own history. Exploring that history was a learning experience for me. Understanding the complexity of our immigration experience leads me to ask: Will America continue to be a melting pot or can it be a stewpot filled with unique ingredients flavoring our shared creation? Can we embrace the gifts diversity can bring to us as a nation or must we insist on homogeneity? Can we recognize the potential immigrants represent and welcome them? Can we see them as the backbone of our nation and still let them see themselves as hyphenated Americans (Polish-Americans, Italian-Americans, Mexican-Americans?) Both. Can‘t people be both in all the fullness that brings? I hope so. History argues otherwise. But, I am an American and Americans are optimists, and I am a Pole, so I am inspired by romantic stories of hope standing against all odds. 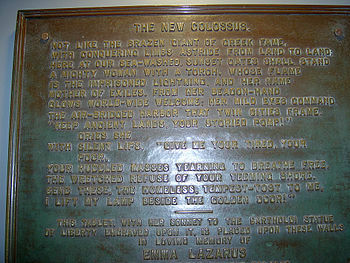 This entry was posted in Writings by Wordsmiths and Others and tagged America, coming to America, Ellis Island, Emma Lazarus, Immigrants, immigrating to America, immigration, Mother of Exiles, On Being an Immigrant American, Polish Americans, Polish Immigrants, the Melting Pot, The New Colossus, The Statue of Liberty. Bookmark the permalink. When I first posted this a year ago, the Syrian War had raged for three years. But this last year as Isis took over more territory, terrified refugees fled in the hundreds of thousands trying to reach Europe, risking their lives to try to get there. Some countries have closed their doors, some even imprisoning the refugees. Now less than a week after terrorist attacks in Paris that killed more than a hundred people and injured more than 400, American politicians want America to stop the many innocent refugees from reaching our shores, because of the few terrorists who may be lurking within their numbers. I repost this story of my immigrant history to try to stand in unity with those who yearn for freedom. 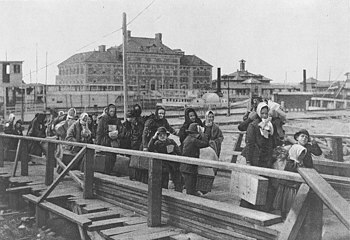 A very exciting post on your thoughts on immigration and your Polish roots. I re-read this important post today and shared it with Henry, my husband. Thank you for sending it to me by mail Joanne. I am so sorry that I had forgotten about where it was. Your post made me reconsider something yes. I hope the right people are helped and that those who come will have the same high level of wish to work their way up like those old brave pioneers. I admire your parents and grandparents for what they have done for the country and I really dislike that they and you have been looked down at.